With Readly you can read The Beatles in America and thousands of other magazines on your tablet and smartphone. Get access to all with just one subscription. New releases and back issues – all included. The Beatles were already huge before they broke America. As soon as they set foot in the United States their fame hit never-before-seen levels. 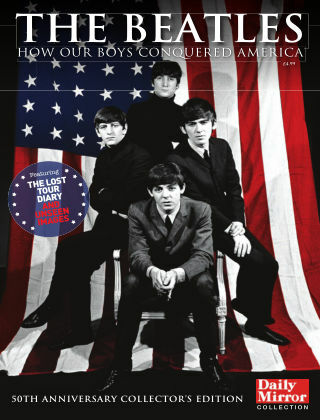 Over 50 years since the Fab Four embarked on two ground-breaking tours of North America in 1964, ‘The Beatles – How Our Boys Conquered America’ brings together reports and unique pictures from the Daily Mirror archive of this historic period in music history. Also included is a fascinating diary of the tours from the appropriately-named Liverpool ECHO reporter George Harrison, who had regular contact with the boys and gave a unique perspective on how The Beatles changed world music forever. This stunning collection is an essential read for fans of The Beatles and popular music.